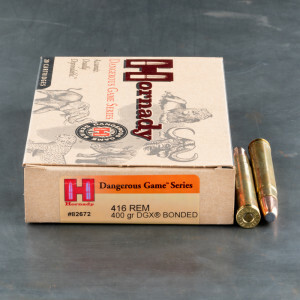 When you first hear the name ".416 Remington Magnum," you might be tempted to think it a misprint that should say ".416 Rigby." It's not! 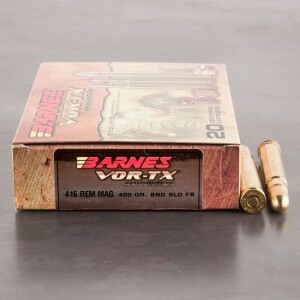 While the .416 Rigby held sway for decades as one of the preeminent African dangerous game rounds, the .416 Remington Magnum was introduced in 1989 to provide a less budget-breaking shooting proposition over the .416 Rigby. Remington's new offering has been called one of the most successful cartridge introductions in decades! 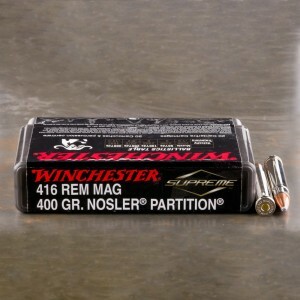 It even spawned a renewed interest in the .416 caliber itself. It was followed by other .416 offerings including the .416 Ruger and the .416 Weatherby Magnum.